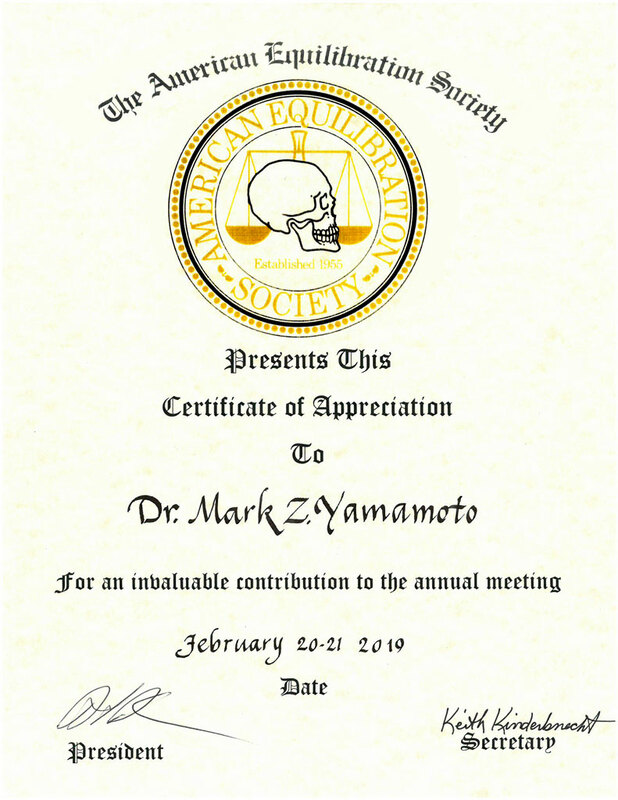 Dr. Yamamoto is a recognized authority on TMJ therapy that is related to bite problems. A high percentage of TMJ problems are caused by a bad occlusion (bite). 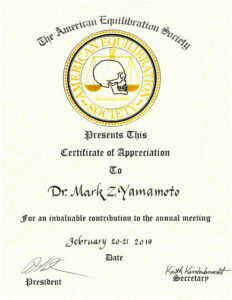 Dr. Yamamoto has studied with the Stuart Gnathologic Study Group for 27 years. He is now the Secretary – Treasurer of the Group. He has lectured and given clinics nationwide on how to correct bite problems and give relief from pain to patients who could not find relief. Dr. Yamamoto has authored articles on how to cure TMJ sufferers. Dr. Mark also has a license to give continuing education credits to dentists. If you had a “splint” that failed, Dr. Yamamoto can probably help you. Splint therapy is only temporary. Definitive treatment is necessary in order to have long term relief of symptoms. Such treatment could involve reshaping existing teeth or crowns, or remaking crowns, bridges, or dentures to the functionally correct bite position. Dr. Yamamoto has successfully treated dentists and their family members. Bite correction can also help patients who grind their teeth, if the grinding is related to an uneven bite. Clicking and/or popping and/or grating of the jaw joint. Jaw Joint will feel locked or dislocated, facial asymmetry. We have created a glossary of TMJ terminology in an effort to clarify what TMJ (Temporomandibular Joint Disorder) is and what it is not. Please refer to the links in the right hand column for a detailed discussion of TMJ. If you or a family member are looking for an expert TMJ dentist in Huntington Beach, CA pleae feel free to call Dr. Mark Yamamoto at 714-847-9900 to schedule an appointment today.